Pakistan is a country, which is rich in culture and religion. Islam is the major religion but along with it there are other minorities like Christians, Hindu, Sikh, Kalash, etc. Christians are the largest minority community in Pakistan. They constitute about 1.6 percent of the Pakistan’s population today. Wow, only God good do something amazing like this. An incredible opportunity has come up. Jane Mellow with Majestic Grace Inc. of Majestic Grace TV invited us to air our show in Pakistan. Since the Spring of 2016, 74 people in a large park in Lashore were murdered. Within the last month, 13 people were murdered in Pakistan. If you borrowed money from a brick kiln owner and cannot pay your debt, you are required to work making bricks to pay off the debt. The interest on these loans is steep. Often times wives and children help the men at the kilns in order to make the quotas and repay their debt. Many brick kiln owners are cruel. People are hungry for truth and long to receive hope. Miracles are taking place and the people are hungry for more. A foreigner sharing would draw a larger crowd. Most people living in brick kiln villages are illiterate with no means of growing and learning other than by listening and watching of TV. To protect the people this is all we are able to share with you. They are eager to receive more material and are hungry for the truth. It is important for them to honor GOD by wearing a head cover. We will honor the Pakistani people and wear the requested head cover for this show. Because of this, we will have to make separate shows. I believe this is a gift from the LORD in a way I had never expected of planned on but HIS ways are much better than mine. Please continue to pray for the Pakistan team overseas, they have many obstacles. Pray that we never lose sight that we serve a much bigger God that is in the business of changing lives. Pray for our Christian brothers and sisters and the team in Pakistan. Each show for Pakistan will cost us an estimated $400.00. Every dollar will make a difference. 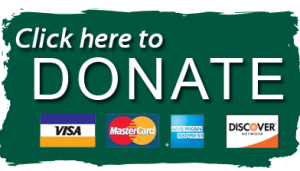 Help us by donating to produce the much needed material they are so eager and hungry to receive. Donate for the distribution of the show in Pakistan. Each distribution costs $4.00 (God is miraculously multiplying the distributions). For those of you who partner with us in this work, thank you for your trust. We will faithfully perform this crucial work to reach this nation. You are our partners in reaching Pakistan for Christ.